This property is a 7-minute walk from the beach. 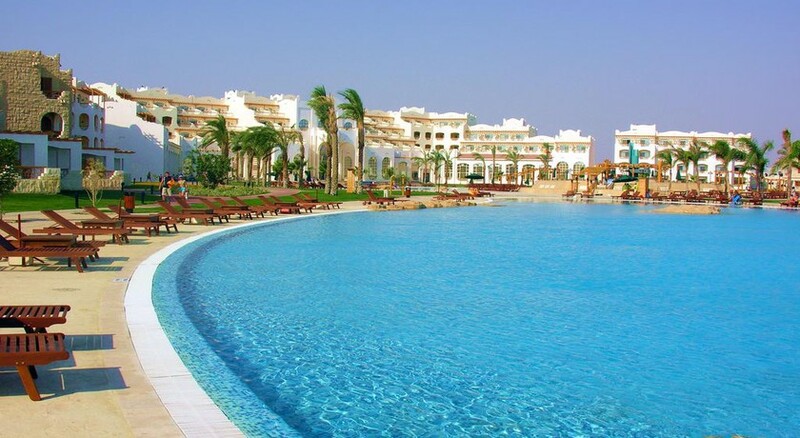 Ideally located on central Hurghada’s promenade and 3 minutes by car from Hurghada International Airport, the 5-star Royal Lagoons Resort boasts a private sandy beach along with 2 restaurants, 3 bars and an outdoor pool.Featuring a balcony or terrace, the accommodations at Royal Lagoons Resort Hurghada include air conditioning, a minibar and a satellite TV. The bathroom is fitted with a bath or shower, a hairdryer and free toiletries.Savour gourmet Italian food at Pomodoro or enjoy international cuisine at the resort’s main restaurant. You can unwind with a drink at the pool bar or beach bar where stunning views are offered.At an added charge, you can make use of recreational facilities such as the health spa, where you can request a massage or access the sauna, hot tub and steam room for a fee. There is also a gym, billiards table, tennis court and diving centre.. Sport Activities: Football, Boccia, Table Tennis, Aerobics, Dancing Lessons (Handled through animation). 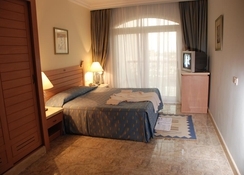 Free hour per room per stay start 9.00 TILL 17.00 (Evening booking are against charge 15$ per hour). Please note rates and conditions are not available to residents of the following countries â?? Saudi Arabia, Kuwait, Qatar, Bahrain, Oman, Iran, Iraq, U.A.E, Egypt, Lebanon, Jordan, Syria, Libya, Morocco, Tunisia, Turkey, Yemen, Israel and Algeria. 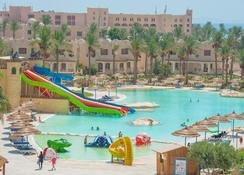 Royal Lagoons Aqua Park, always strive to improve guest experience and do so by continuous upgrades of there resort facilities and services, which take them from Good to The Best, Kindly be informed that as a part of quality improvement action plan for there resort,they will start as of Saturday February 17th, 2018 yearly maintenance of Main Swimming Pool. We are not expecting any unusual noise during this time, but as construction will be visible for our guests we are in need to inform you in advance. Kindly note due to maintenance of our main pool successful completion and it has operated on 06th March 2018. The service & staff were amazing. Room spacious & clean. All spirits very weak but no limit as all inclusive.